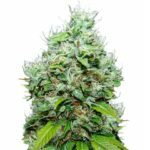 Ripper Seeds are a small but growing Marijuana Seed company that have incorporated a variety of stable Marijuana genetics together to produce new Ripper Seeds and strains. 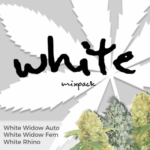 The most well known of these strains is Ripper Seeds Double Glock, named after the famous handgun, and this strain forms the basis of several other new hybrid strains within their collection. Ripper Seeds Grape Gum is an F1 Marijuana hybrid created from two separate strains, containing an American West Coast favorite, Bubblegum, together with a highly prized Canadian Grapefruit. The resulting combination is an exquisite bouquet of sweet, fruity flavors that fill the air with a pleasant grape like smell. Ripper Seeds Grape Gum is a combination of 60% Sativa and 40% Indica Marijuana genetics, producing a high quality, stable strain retaining both its parents characteristics. The flowering period is registered at 68 days, so near the Sativa flowering time-scales of 10 weeks. Outdoor Marijuana growers enjoy generous harvests around the end of September, with production levels not yet proven, but recorded as high. Bud production is tight and compact, retaining the classic Indica density of Bubblegum for both Indoor and outdoor growers. 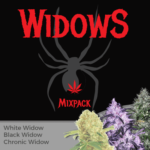 Once dried and correctly cured, the resulting buds are sweet and fruity both in aroma and when smoked, leaving the user with a well balanced high incorporating both the creative high of the Sativa’s, together with the body stone associated with Indica Medical Marijuana. Although more suited by outdoor growers, Ripper Seeds Grape Gum can be grown indoors using topping or bending techniques to control any height issues. 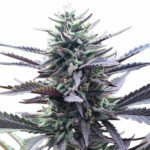 All of the Ripper Seeds Grape Gum Seeds are sold as Feminized Marijuana Seeds, so sexing your plants is not an issue, producing only female Marijuana plants. 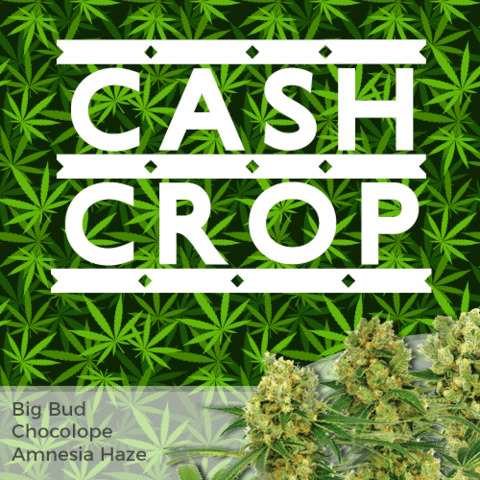 Ripper Seeds Grape Gum Marijuana Seeds are available to buy online. Developed in mainland Spain, we here at VegPage are proud to promote the complete collection of all Ripper Seeds, including all the latest new Marijuana Seeds for 2013. 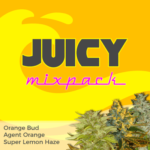 Available as Single Seeds, or as Feminized Ripper Seeds Grape Gum 3 Seeds, or 5 Seed packets, and with free Marijuana Seeds with every order. Click below for the cheapest priced Ripper Seeds Grape Gum available.